You may have seen in my stats of the year, that there was a peak for December. Seeing how few books I had read compared to my usual average (about 30 less books than usual), I tried to read more in December!! It worked, and December was by far my best month in 2018. Best in reading, and also very good in audio time. 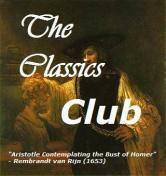 Classics Club: 25/50 (until end of 2020) or 39/64! The 2018 TBR Pile Challenge: 3/12, but none reviewed yet !! Be sure to check the giveaways posted on my homepage! How was YOUR month of December? This entry was posted in Audiobooks, Classics, ebook, Fiction, foreign, French Bingo, Graphic-Novels, Historical novels, I Love France, Mysteries, Non-Fiction, Orthodoxy, Read in, Religion, statistics and tagged Ernest Hemingway, Hedy Lamarr, Louise Penny, Marie Benedict, Michel Bussi by WordsAndPeace. Bookmark the permalink. I think it’s great that you track how many hours of audiobooks you listen to. I hadn’t really thought about that. What a great month to end your year! Wow, you had a great reading month! The Only Woman in the Room sounds so interesting! 14 books in a month is good! And all that non fiction. I really should get that Kostova book. I loved her “Historian”. The Shadow Land is on my TBR list. I loved her previous books. Happy New Year. You certainly had a very profitable reading month. May 2019 bring you many blessings and lots of great books.